Below you fill find all funeral homes and cemeteries in or near Dowagiac. Dowagiac is also known as: Cass County / Dowagiac city. Their current mayor is Mayor Donald Lyons. Zip codes in the city: 49047. Some of the notable people born here have been: Deborah Cherry (politician), Carrie Newcomer (songwriter and singer), Billi Gordon (actor and author), and Chris Taylor (wrestler). Dowagiac (/dəˈwɑːdʒæk/ də-WAH-jak) is a city in Cass County in the U.S. state of Michigan. The population was 5,879 at the 2010 census. 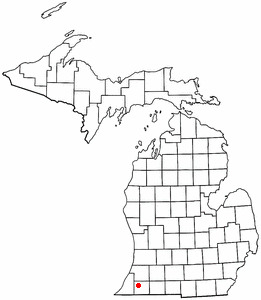 It is part of the South Bend–Mishawaka, IN-MI, Metropolitan Statistical Area.Dowagiac is situated at the corner of four townships: Wayne Township to the northeast, LaGrange Township to the southeast, Pokagon Township to the southwest, and Silver Creek Township to the northwest.The city name comes from the Potawatomi word dewje'og meaning "fishing [near home] water". It was written on February 21st, 2019 that Darla Kay High (Cushing) died in Chicago, Illinois. Ms. High was 52 years old and was born in Dowagiac, MI. Send flowers to express your sorrow and honor Darla Kay's life. It was written by Kalamazoo Gazette on January 8th, 2019 that Brenda L Underwood-Ayers (Underwood) died in Dowagiac, Michigan. Ms. Underwood-Ayers was 61 years old. Send flowers to express your sorrow and honor Brenda L's life. It was noted on December 21st, 2018 that Dolores M Krueger died in Dowagiac, Michigan. Krueger was 80 years old. Send flowers to express your sorrow and honor Dolores M's life. It was revealed by Kalamazoo Gazette on May 17th, 2018 that Gene Lawrence Avery perished in Dowagiac, Michigan. Avery was 92 years old. Send flowers to express your sorrow and honor Gene Lawrence's life. It was noted by Kalamazoo Gazette on August 23rd, 2017 that Leslie H II "Les" Cross passed away in Dowagiac, Michigan. Cross was 46 years old and was born in South Bend, IN. Send flowers to express your sorrow and honor Leslie H II "Les"'s life. It was revealed by Kalamazoo Gazette on August 23rd, 2017 that Ruth E Hibbard (Moran) passed away in Dowagiac, Michigan. Ms. Hibbard was 101 years old. Send flowers to express your sympathy and honor Ruth E's life. It was noted on June 9th, 2017 that Louise Eleanor Hunt (Hiemstra) died in Mishawaka, Indiana. Ms. Hunt was 92 years old and was born in Dowagiac, MI. Send flowers to share your condolences and honor Louise Eleanor's life. It was disclosed by Kalamazoo Gazette on March 2nd, 2017 that Eleanir Mae Janssen (Drake) perished in Dowagiac, Michigan. Ms. Janssen was 88 years old. Send flowers to express your sympathy and honor Eleanir Mae's life. It was disclosed on January 15th, 2017 that Robert Janssen passed on in Tampa, Florida. Janssen was 80 years old and was born in Dowagiac, MI. Send flowers to express your sorrow and honor Robert's life. It was written by Kalamazoo Gazette on November 27th, 2016 that Anna Mae Prak (Vanauken) perished in Dowagiac, Michigan. Ms. Prak was 83 years old. Send flowers to express your sorrow and honor Anna Mae's life. Dowagiac, founded in 1848, is a city in Cass County, Michigan County in the US state of Michigan. The population was 6,147 at the 2000 United States Census census. It is part of the South Bend, Indiana Bend–Mishawaka, Indiana Indiana South Bend-Mishawaka metropolitan area Statistical Area. . . The funeral will be at 11 a.m. Monday ... memorial contributions be made to the Loyal Order of the Moose Lodge No. 933, 54867 M-51 North, Dowagiac, MI 49047. McLauchlin-Clark Funeral Home, Dowagiac, MI : Reviews and maps - Yahoo! Local, 269.782.2135. Get Ratings, Reviews, Photos and more on Yahoo! Local. Groner Funeral Home, Dowagiac, MI : Reviews and maps - Yahoo! Local, 269.782.2128. Get Ratings, Reviews, Photos and more on Yahoo! Local. Find a Funeral Home inDowagiac, Michigan MI to provide the caring burial and ceremonial services your family deserves. We work with local florists and flower shops to offer same day delivery. You will find budget sympathy flowers in Dowagiac here. Our funeral flowers are cheap in price but not in value.